Heat Pump vs. Furnace: What’s Best for Your Home? Whether your old furnace needs replacing or you are constructing a new home, the topic of heat pumps may have arisen. However, you may not understand what a heat pump is or how it stacks up against various furnace options. Knowing the differences and comparisons will help you make the best choice for your project. The term “heat pump” may be slightly misleading, as his device does more than simply heat your home. The primary propose of a heat pump is to transfer heat from one point to another, as opposed to creating heat via fossil fuels. Various types of heat pumps perform this task differently, and there are three major varieties of heat pumps, as well as a few less common types. Of the three types of heat pumps, absorption pumps are unusual in that they do not use regular electricity. Instead, this system is fueled by solar, propane, natural gas, or geothermal power. Available primarily for larger homes, absorption pumps use ammonia and water for heat transfer. As ammonia is absorbed into the water, it runs through a low-pressure compressor. The mixture is then heated, boiling the ammonia out of the water before restarting the process. Also known as air-air heat pumps, this is one of the most common types of heat pumps. The external portion of the system pulls heat from outside through a system of refrigerant-filled coils similar to those on your refrigerator. A fan pulls warmer outside air over the coils, causing the refrigerant to evaporate. The expanded gas then passes through a compressor, increasing both the temperature and pressure of the refrigerant. The compressed mixture flows along pipes into a second set of coils inside your home where another fan blows the hot air into your ductwork. As heat is transferred away, the refrigerant cools and condenses back into a liquid allowing another pipe to carry the refrigerant back outside, continuing the process. The flow may also be reversed to pull excess hot air from your home. Air-source pumps may be modified to work in conjunction with other HVAC (heating, ventilation, and air-conditioning) systems. Please note that commercial models tend to be housed in a single roof-mounted unit, as opposed to having both indoor and outdoor sections. Although the basic premise is the same, ground-source pumps have a different external setup. There are two variations, both of which absorb heat from underground water sources or the ground itself. Closed-loop systems may use either refrigerant or water and function almost exactly the same way as air-source pumps, except for the fact that heat is pulled from the ground source directly instead of via fan. Conversely, open-loop systems connect solely to underground water sources. Water is pumped up to your home where heat is removed and the water is returned to its source. This latter system often employs a man-made source such as a well, and has some similarities in function to geothermal heating systems. All-Climate heat pumps are a relatively new type of pump that works in extremely low temperatures. Boasting as much as 60 percent higher efficiency over standard heat pumps, this model is excellent for northern latitudes. Unfortunately, all-climate pumps are less efficient at cooling and thus not recommended for primarily hot climates. Cold-Climate pumps are similar to the all-climate models, although this pump type is still in development. The advantage of cold-climate pumps is their ability to calculate the minimal amount of energy needed for heating or cooling your home. It then automatically adjusts to those settings, making it perhaps the best alternative for green living once the design becomes widely available. 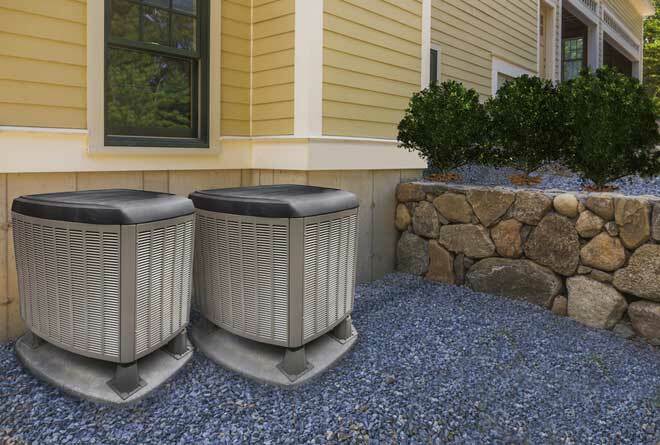 Mini-split heat pumps are used in homes that lack ductwork. A single external unit connects to multiple smaller internal units. These are connected in turn to space heaters or water heaters. When retrofitting a house, this type of heat pump proves ideal, as the small interior components may be placed where needed and are relatively easy to install. Heat pumps generally have many advantages over furnaces when it comes to efficiency, although there are times when furnaces have the advantage instead. Now that you are aware of the various heat pump options, a direct comparison between pumps and furnaces is possible. While most modern furnaces run off of gas or electricity, a large part of their energy consumption is spent towards heating or cooling the air. As such, they are generally not as efficient as heat pumps in moderate climates. Cooler climates are different, however. Heat pumps expend high amounts of energy absorbing heat in freezing temperatures, with the exception of cold-climate and all-climate models. In states where the weather frequently drops below freezing, a furnace tends to be the more energy efficient choice. Heat pumps are designed to distribute heat evenly throughout a house. This has the advantage of leaving no cold spots. However, the overall heat is milder than a traditional gas or oil furnace, meaning you may feel chilly if you are used to furnace-based heating. Unlike furnaces, heat pumps have an external unit which must be placed in a location where airflow is unobstructed. Shrubs and other potential blockages must be kept pruned back for the pump to function at peak efficiency. Furthermore, you will need to consider aesthetics, as the eternal unit cannot be hidden and therefor might be best placed on a side of your home which sees the least amount of outdoor use. One common fact between heat pumps and furnaces is the fact that both need supporting systems or components to function properly. In the case of a furnace, these supporting systems usually consist of air conditioners or other cooling devices and a dehumidifier. Heat pumps are generally able to function without these, especially ground-source and air-source pumps, as they dehumidify the air naturally. However, there are times when a heat pump cannot function as efficiently due to low temperatures. In such cases, a backup heat source, such as a modified gas furnace or supplemental electrical heating becomes necessary. 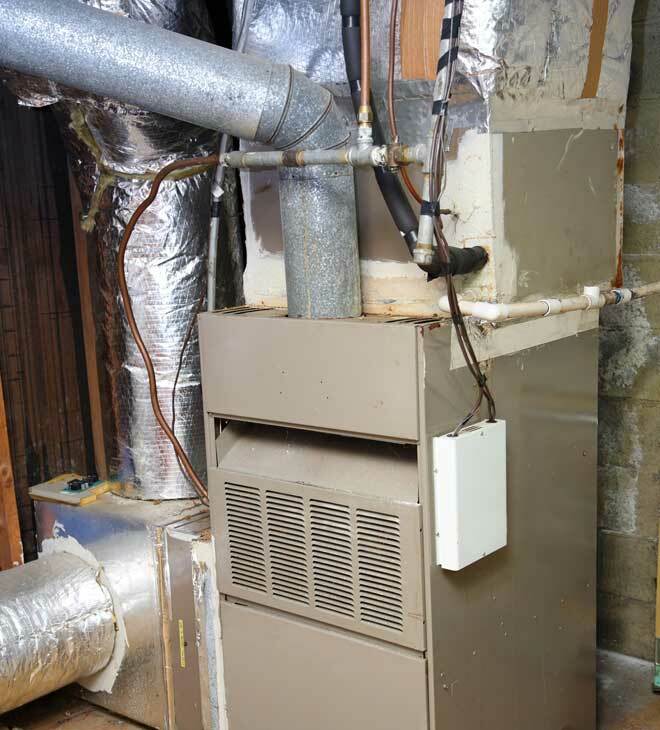 Be sure to consider these added components before settling on a specific heating system. For more information on how heat pumps work, as well as choosing a type for your home’s needs, HowStuffWorks offers a detailed guide. The U.S. Department of Energy offers an in-depth guide on air-source heat pumps, with links to additional guides and articles at the end.